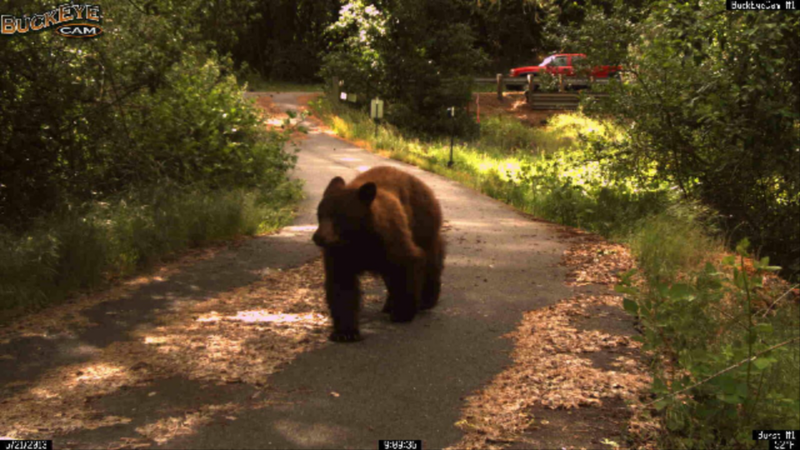 A Dwarf Grizzly Bear in Oregon? 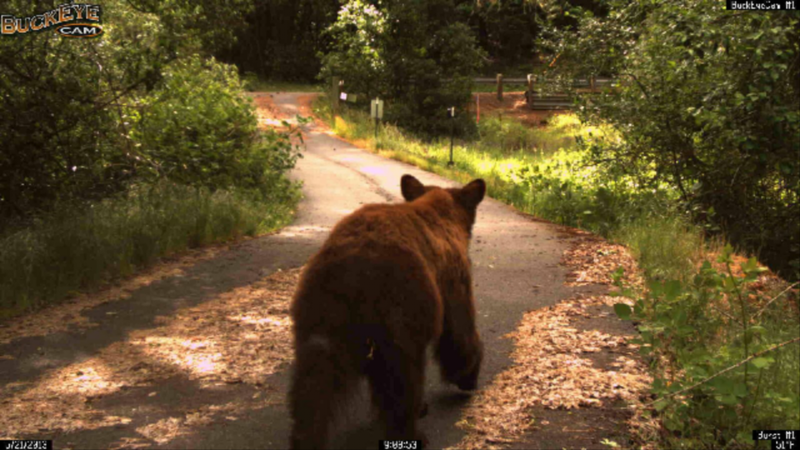 You are here: Home / A Dwarf California Grizzly Bear in Oregon? 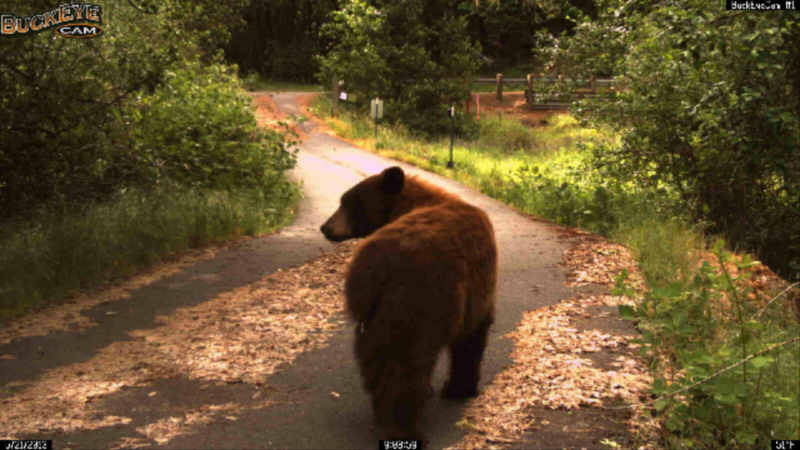 A Dwarf California Grizzly Bear in Oregon? 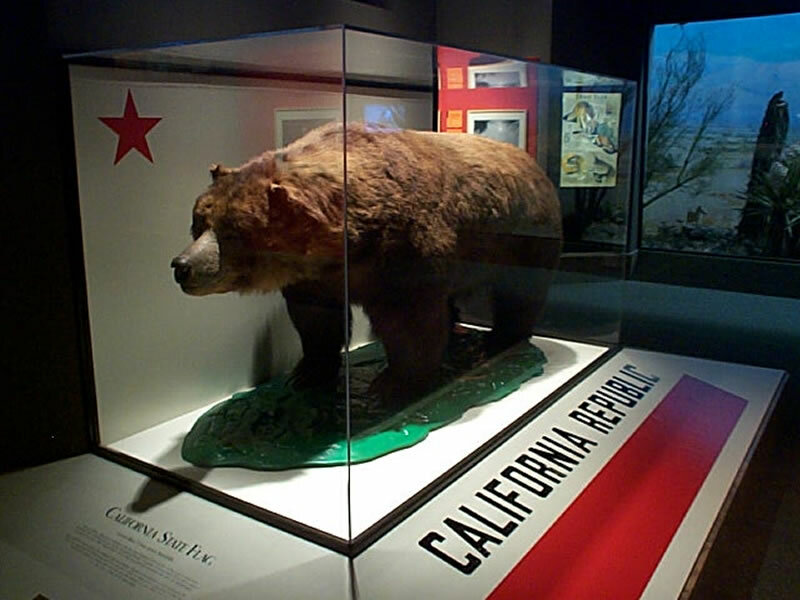 Above: Monarch, reputedly the last California brown bear, the mascot of the State of California and on their flag; on display at the California Academy of Sciences. I now live on an 80 acre wilderness property in Southern Oregon, which I have outfitted with high definition trail cams. 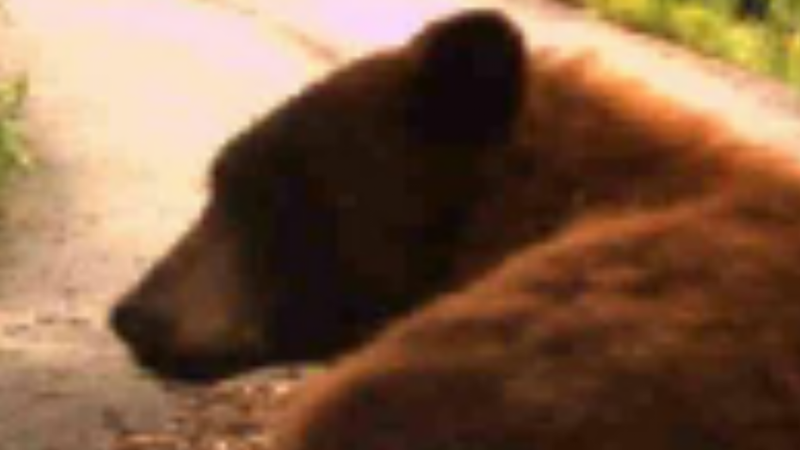 People living nearby are well aware of “black bears.” Some are indeed black bears, but some are cryptids in plain sight: a smaller (dwarf) form of the “extinct” California grizzly bear. I have heard some neighbors say “that’s not really a black bear,” and I thought they were merely hung up on color (black bears can be brown, too). It’s not just color. 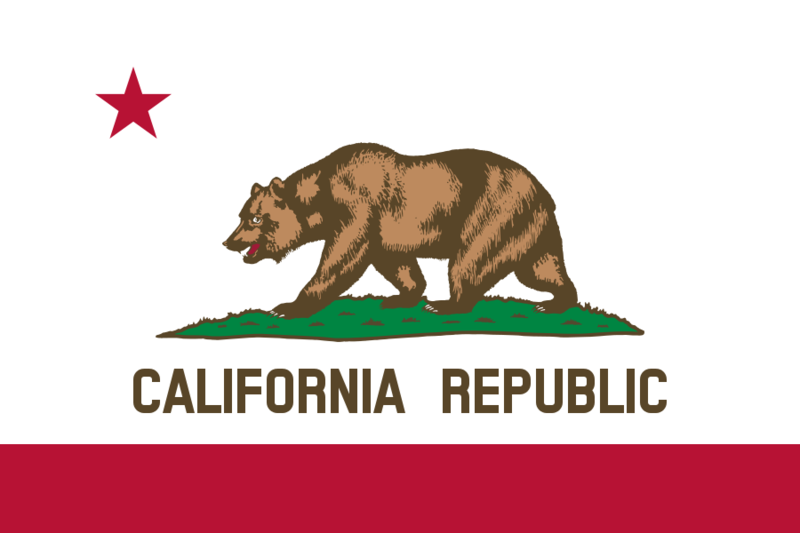 It’s important to realize, the famous California grizzlies generally did not have shoulder humps. Preserved specimens are available to view. These smaller, humpless Grizzlies have escaped detection by being lumped in with the black bears. I have a bunch of trail cam photos of one of these, a female that has included my property as part of her range for years, according to neighbors. She is exactly like a smaller California grizzly bear. I had an in-person encounter with her. She is skilled at avoiding up-close encounters with humans. It is rare for people to see them up-close, so they generally pass as black bears. This one is obviously skilled at raiding campgrounds for food. People around here shoot them. Some have been shot multiple times, this year alone, yet somehow survived. As a supposedly extinct species, they should have Endangered Species protection, at least until their actual numbers can be ascertained. The front of her front-right paw shows details supposed to be (only) on grizzly bears, but not on black bears (such as the claw and toe configuration, and claw coloration). The ears look larger like a black bears. Maybe there is a hybrid out there? To add to that, black bears always seemed to have a more doglike snout than a grizzly. The one in your pictures looks more like what I see of a black bear than a grizzly.